These look wonderful. I always forget to give them a thumbprint so sometimes they rise a little wonky. I see you have parchment on the bottom of that skillet. I'm stealing that idea. I use parchment all the time so why did I not think of that? May I suggest parmesan and rosemary, the combination is delicious. They are my family's favorite. Moe is a lucky man. 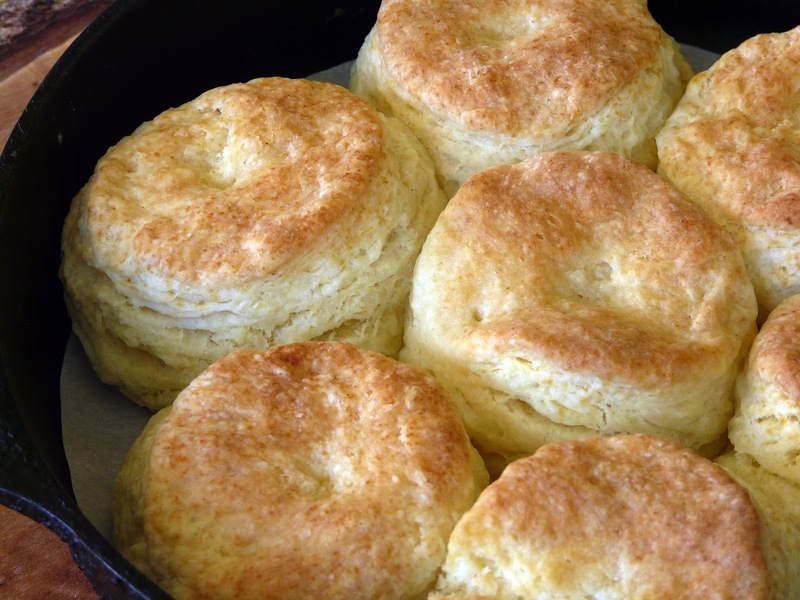 I showed my wife the biscuits and said "this is what a biscuit should look like" and she agreed. 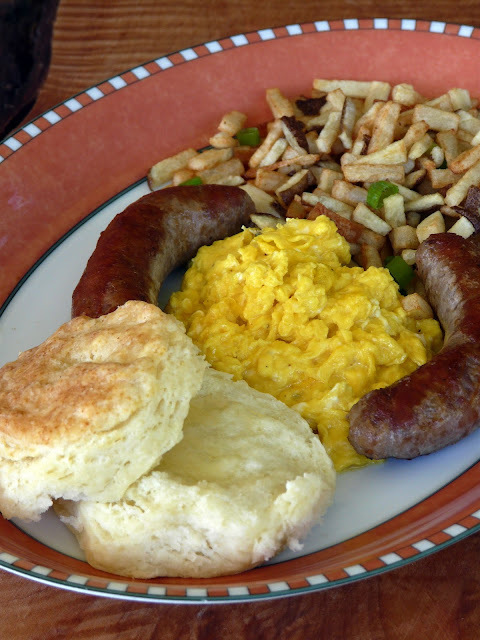 I believe we're having biscuits and sawmill gravy tomorrow but with frozen biscuits. I came back to give you an update. I just made these and they are wonderful. I only made a half-batch. I used 1 cup/5 oz of flour and halved the other ingredients. With such a small batch I did not bring out my Cuisinart - this time I just smooshed the butter between my fingers which I have be reluctant to do since I thought I could not get the butter incorporated properly. I used your parchment tip and my iron skillet, and this time I remembered to give them a thumbprint. They turned out so gorgeous I surprised myself, and they taste even better. Thank you so much. Madonna, I've never thought of making a half batch. Great idea. If you haven't tried it before, try cutting in the butter using a box grater. Makes the perfect size pieces of butter. 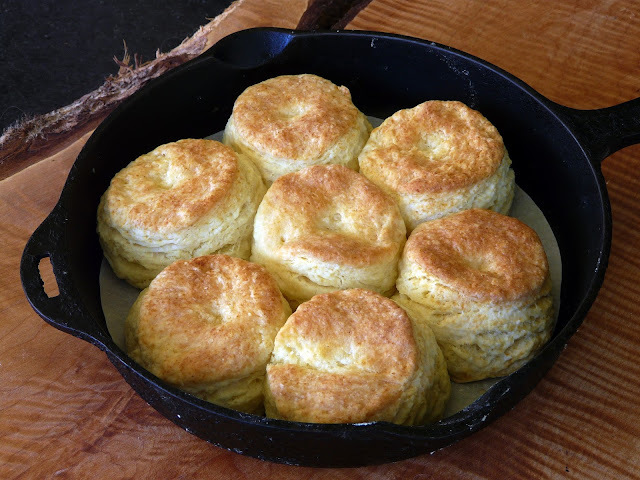 I made these biscuits tonight with a bbq chicken dinner - they turned out delicious! Already have the recipe saved. 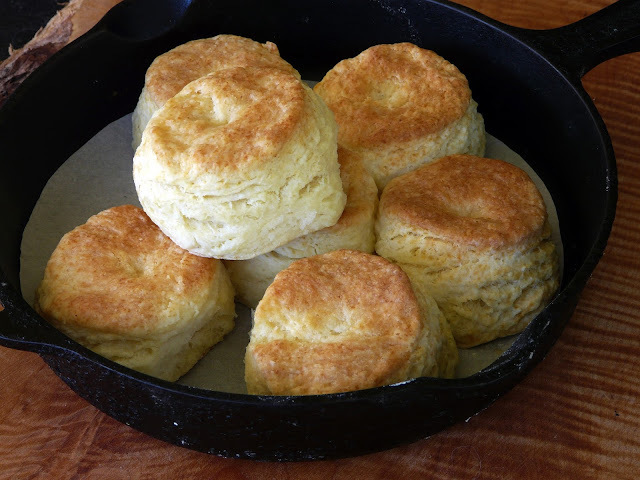 It is definitely going to be my go to for biscuits! Thanks Bridget. Glad you liked the biscuits. Yes you don't need the parchment. But I'm lazy and with parchment there is less clean up. 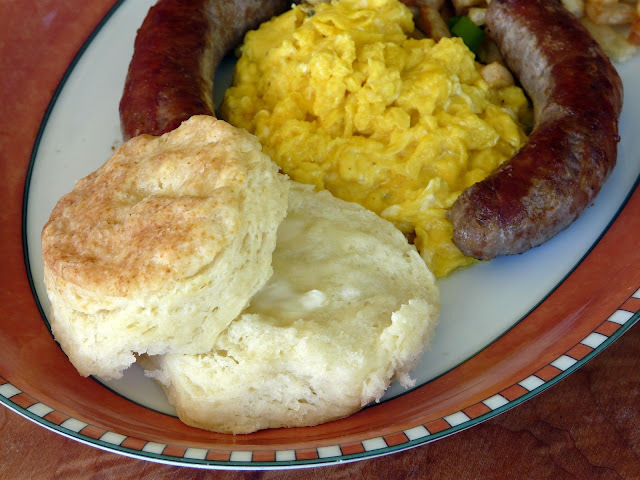 I made these biscuits today for breakfast adding ham, cheddar and chives to the mix.